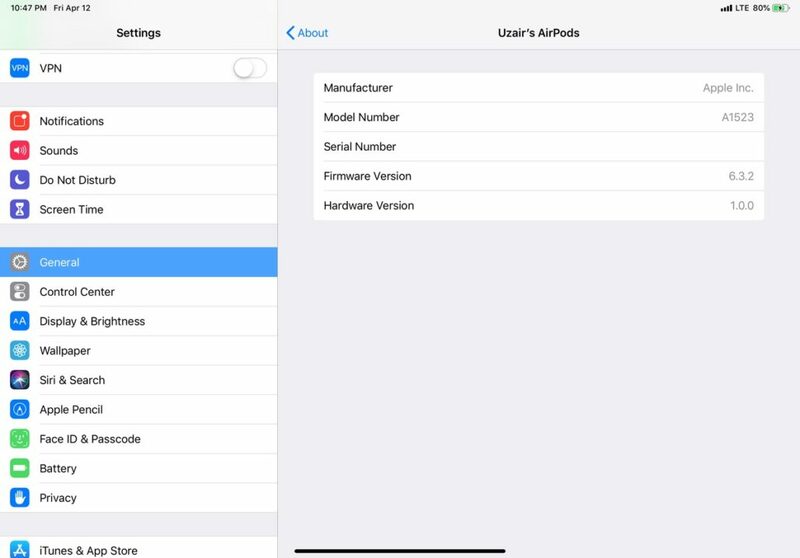 Want to know the current firmware version of your AirPods? Follow the guide which we have outlined below. AirPods are great. They just work brilliantly between devices. Switching is also a piece of cake. And if you think about it, they are tiny computers in their own respect that have underlying software which makes the magic happen. That’s why Apple updates the AirPods firmware from time to time in order to bring stability to the earphones, ensuring things like solid connectivity, better battery life, seamless switching as software updates arrive, etc. But how do you check the current firmware version of AirPods? It turns out, it’s not a difficult task at all. First of all, connect the AirPods to your iPhone or iPad. Then launch the Settings app, then tap on General, then select About. Over here you should see the AirPods listed as a separate entry at the very end. Tap on it and you will be presented with things like the firmware version as well as the serial number. 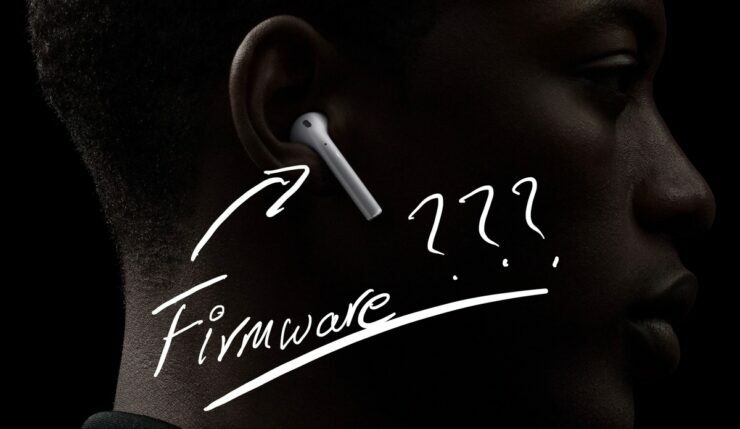 And oh, if you don’t know whether you have the first-generation AirPods or the second, you can find that information here as well. It will be listed as hardware version 1.0 or 2.0. Or, you can just look for the charging light outside the case if it’s the second-generation AirPods, which is a far more simpler way to get to the bottom of business. Whenever a new firmware version is out, the AirPods update automatically in the background. But remember, the AirPods will not update at all if you keep them disconnected from your iPhone or iPad. So it is best to connect your AirPods to your phone or tablet from time to time in order to make sure that you are on the latest and greatest version. 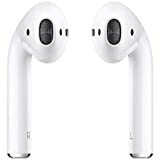 Apple released a firmware update to the AirPods a while back that brings a handful of changes such as the ability to switch between devices slightly faster. It’s barely noticeable but something that should not be ignored at all. After all, the iCloud syncing features of the AirPods becomes even more amazing when things are snappier. All thanks to firmware updates, people.